Growing up, my parents did not like to give us a lot of candy in our Easter baskets. They preferred to give us gifts that we could use and play with beyond the one day; besides, our grandparents always brought candy over anyway! Now that I have my own kids, I’ve carried on that tradition in our house! 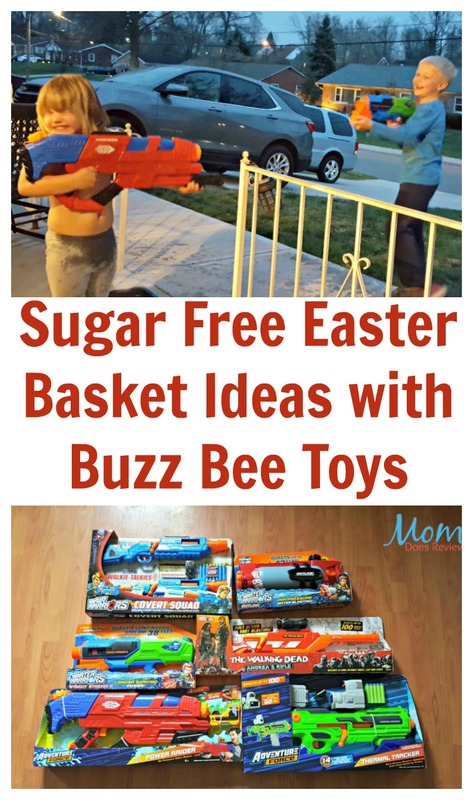 So this year, I’m sharing with you the sugar free Easter basket ideas with Buzz Bee Toys Blasters! Buzz Bee Toys, Inc. provides the ultimate play experience with each toy we make. From dart and waster blasters to water toys, flying toys, junior sports and pogos, we are passionate about our portfolio of brands and are delighted to offer them to people all over the world. 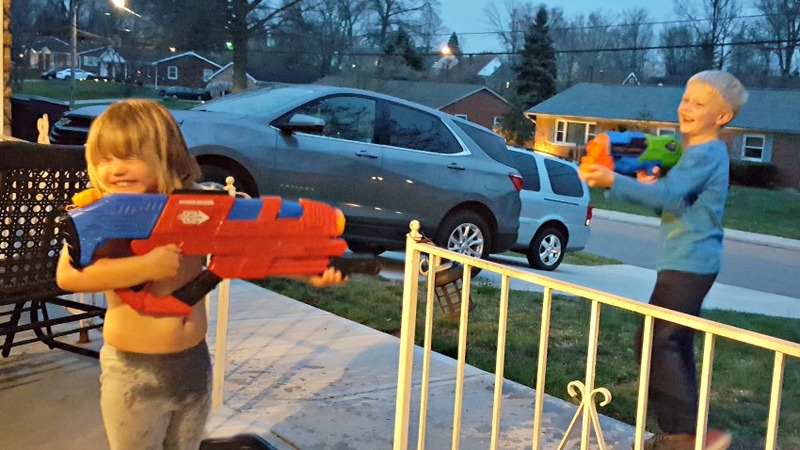 Next level water gun fights! This is an awesome air pressure blaster that has 3 different nozzles and even a scope to help you aim and hit your target, up to 40 feet away. Make sure to get the 2 AA batteries that are required! Blast up to 42 feet away with a HUGE water tank (holds 48 ounces). Pump the handle to build up the pressure and hit the trigger to soak your target. Don’t worry, no batteries are required. Just a lot of water and someone to aim at! For the smaller “shooters” of the bunch, consider this model which holds about 30 ounces of water and shoots an impressive 38 feet! This is a wonderful water blaster both in and out of the pool! This is a set of two bolt action dart blasters with built in walkie-talkies! You and a team mate can use the included earbuds to communicate with each other up to 300 feet, and fire up to 4 darts within 100 feet of a target. Don’t worry, there are 2 different channels in case you have 2 sets of these dart blasters so you can play on teams. 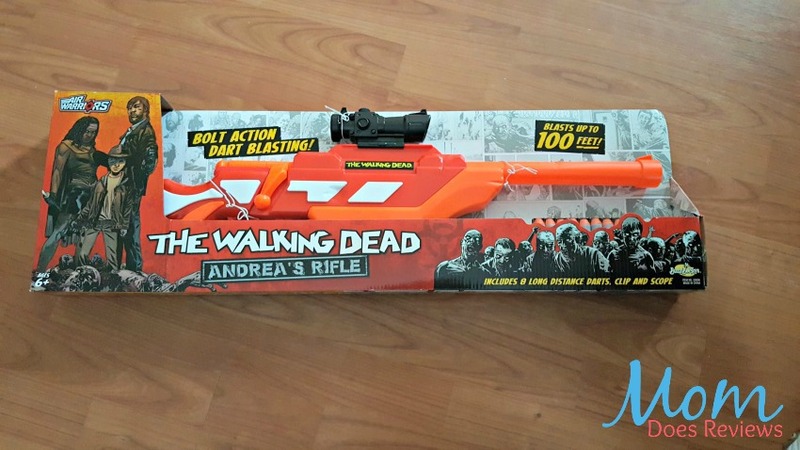 If you’re on the hunt for walkers, or just want to have fun with your friends, check out this Walking Dead rifle. It comes with a clip, 8 long distance darts that travel up to 100 feet, and a scope! Reload the clip to continue the fun. Find it at Target, Amazon, or Walmart. Ever wanted to shoot darts at night? This dart blaster uses a clip to keep the ammo loaded and includes a thermal heatseeking scope. You can even swap out the blaster with other accessories! Even the older “kids” may want a turn with it! When it comes to filling the kid’s Easter baskets, we have two avenues we typically follow as parents. 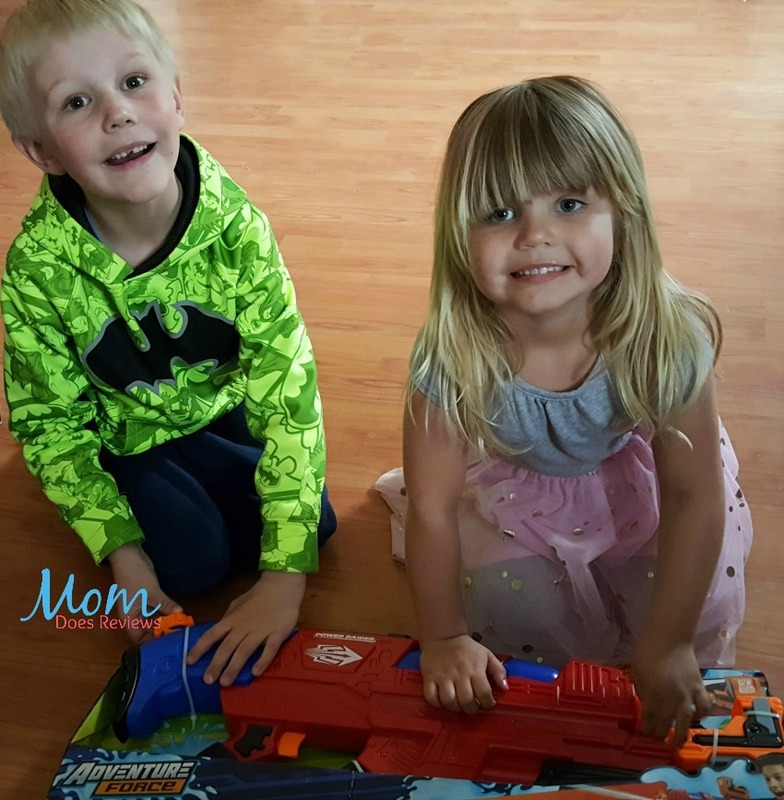 We will either get them each small gifts to fill their basket or purchase a single family gift, such as a vacation or a new gaming system to share. And it really depends on how old the children are and what our budget is as to which way we go. This year, we decided to go with individual gifts that also would take them outside more. That’s why we loaded up with sugar free Easter baskets ideas with Buzz Bee Toys! 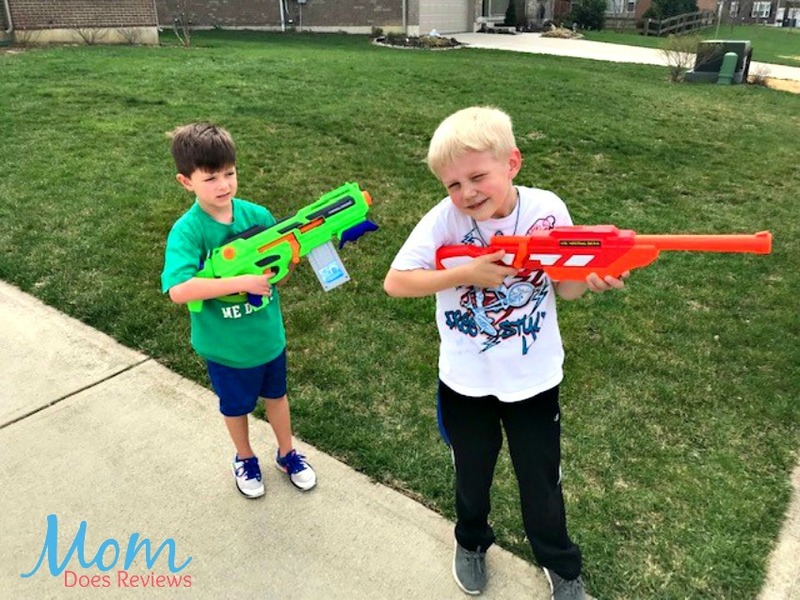 The dart blasters are perfect to play with (mostly) outside and each one has a different feature to make it special. 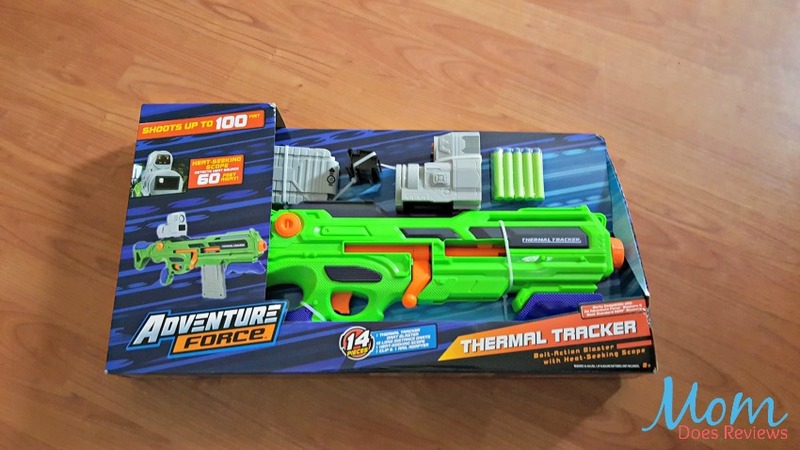 Whether the kids go “seek” their target with the Adventure Force Thermal Tracker so they can track their friends, even in the dark. 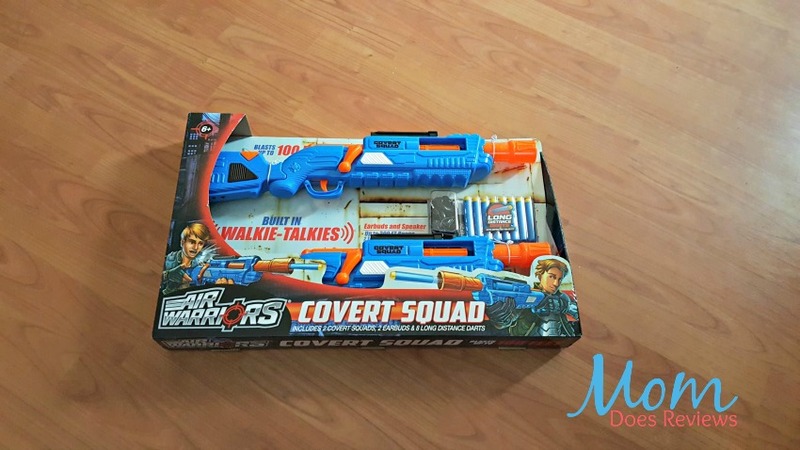 Or maybe they team up and use the Air Warriors Covert Squad to work together using the built in walkie-talkies! They can blast those darts at their targets, reload, and be off again! 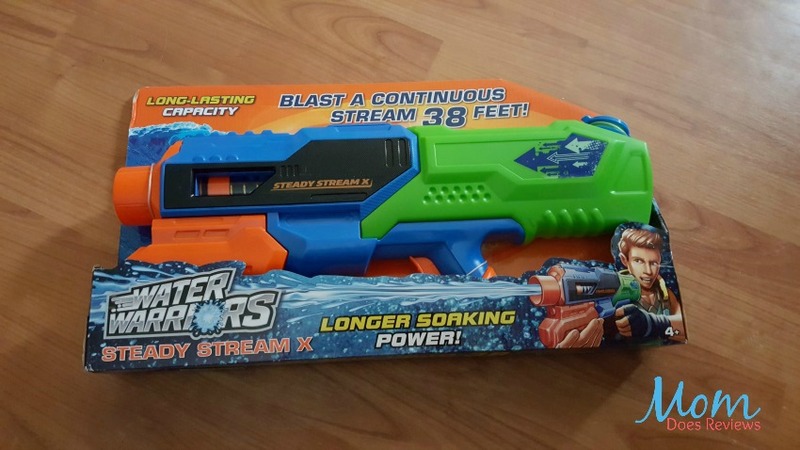 On hot days, they can swap out the dart blasters for the water blasters instead! We have several models from Buzz Bee Toys that holds different amounts of water which means even the smallest of our group can participate. 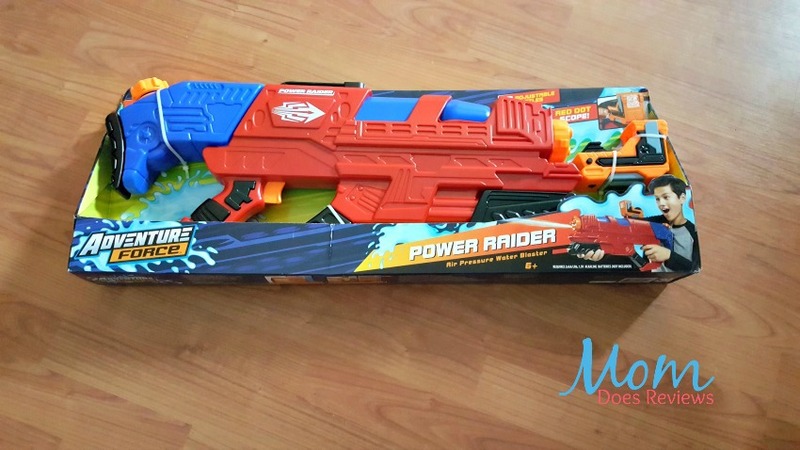 The Adventure Force Power Raider is a great choice for the patient ones of the group since you can use the scope to hit your target. 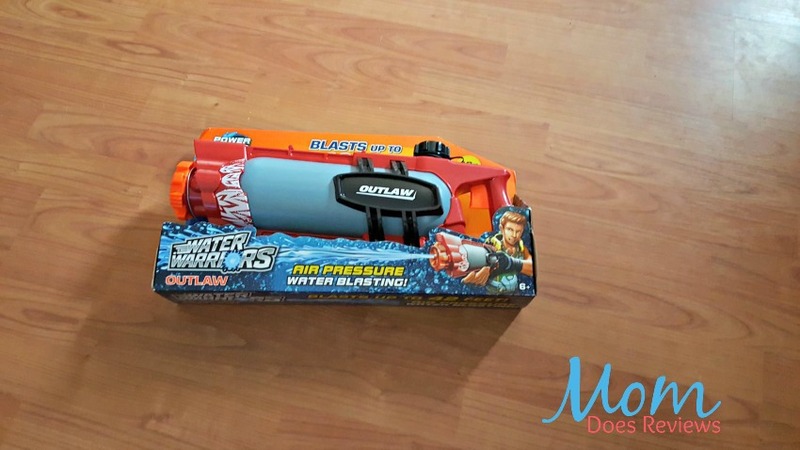 And of course, there is the Water Warriors Outlaw which is perfect for those long water fights since it holds 48 ounces of water AND shoots up to 42 feet away! 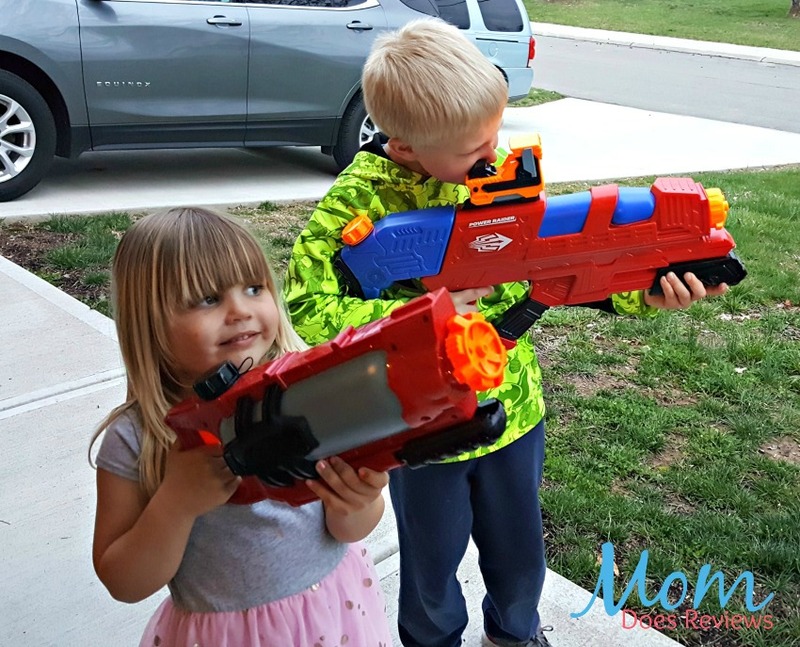 Even the youngest in our family can play with her older siblings using the Water Warriors Steady Stream X since it doesn’t hold quite as much water but still shoots a target at 38 feet away. All she has to do is pump the air pressure and fire! And this is the same Princess that also likes to pretend she’s on the “monster show” that her parents watch. Which means, of course, she’s toting the Walking Dead Andrea’s Rifle around with her to go after her siblings! 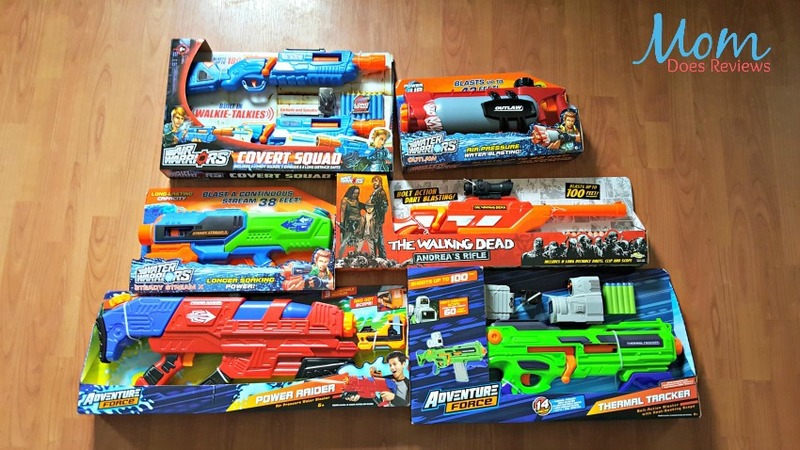 All in all, the kids are thrilled with their gifts, whether they choose to blast darts or water at each other. We’ve even shown them how to set up targets, such as pop cans or pinecones, so they can use them as target practice in the yard. Whether you have boys, girls, or a mixture of both, you really could use these sugar free Easter basket ideas with Buzz Bee Toys. We’ve added Buzz Bee Toys to our Fun Spring Gift Guide! 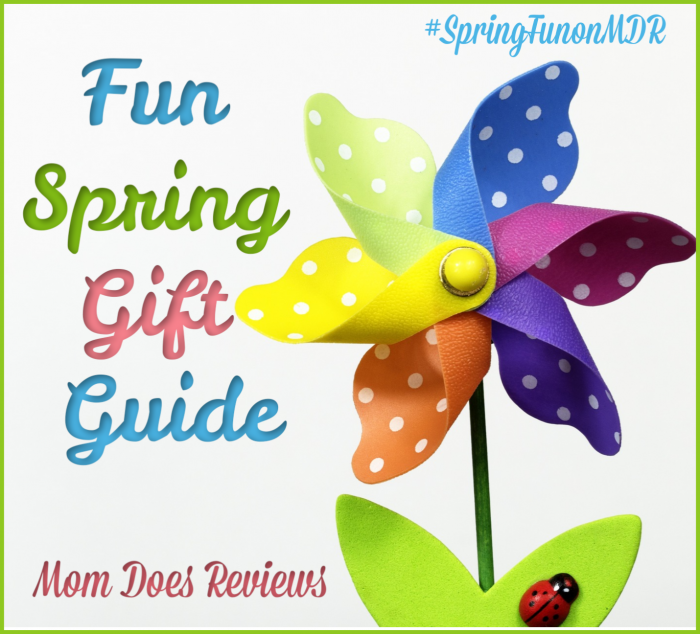 #SpringFunonMDR Check it out here!